Malta Members provide and tend women in crisis situations and offer confidential help, to test and to encourage them to carry their babies to full term. Crudem (Center for the Rural Development of Milot) is a multifaceted mission dedicated to helping impoverished people in and around the village of Milot in Haiti, which is the poorest country in the Western Hemisphere. Their mission is: to provide accessible health care to the poor of Northern Haiti, to train and nuture Haitian medical staff, and to practice Christian compassion and respect for the inherent dignity of every individual. Malta Members are Board Members, who reside in St. Louis as well as Doctors who give so generously of their time to travel to Haiti to serve those in need. Malta Members work, and provide meals in this soup kitchen and women’s shelter run by Mother Teresa’s Missionaries of Charity. Malta Members attend and care for the Malades while in Lourdes. It is our expression as a lay religious Order to work, pray, and offer comfort to those who are suffering. Our Lady’s Inn is a maternity home for homeless pregnant women and their children serving, St. Louis City, St. Louis County and St. Charles County. OLI provides a life affirming alternative to abortion by providing a home, pre-natal care, nutrition, birthing and parenting skills education, vocational and educational support and connectivity to community resources for substance abuse, mental health and transitional housing programs. Malta members serve in many capacities: Executive Director, Board of Directors, Advisory Board and volunteer staff. Malta Members have become pen-pals to those in Prison to let them know someone cares and to share with them information of the outside world. Encouraging a relationship with God as they hopefully will be released and return to a constructive life within our society. Malta Members serve the many needs of the poor in the rural areas through the corporal works of mercy. Malta Members are involved in this Club, which helps to foster vocations and support the priests through speaker programs and their masses. Malta Members provide housing and whatever needs are necessary for abused women and their children. Saint Patrick Center provides opportunities for self-sufficiency and dignity to persons who are homeless or at risk of becoming homeless. Individuals achieve permanent, positive changes in their lives through affordable housing, sound mental health, employment, and financial stability. Malta Members provide casseroles for three of their programs as well as mentoring and assisting where needed. 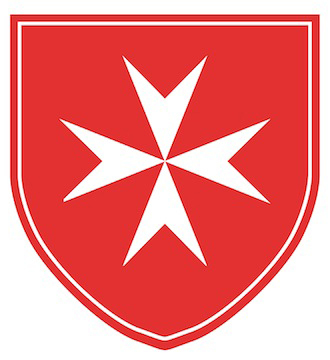 Malta Members are also on their Committees, their Board, as well as their Board of Trustees. Sunny Hill provides housing options for the poor, the young, and the disabled growing into adulthood. This Foundation, in which our Malta Members participate, provides partial scholarships for elementary school children so that they may be able to attend Catholic and other Faith based schools. This Foundation develops ads for radio and television to promote pro life topics, including anti embryonic stem cell research. Our Members are supportive of this Foundation.